SAAMBR’s Oceanographic Research Institute is based at uShaka Marine World in Durban, KwaZulu-Natal, South Africa. 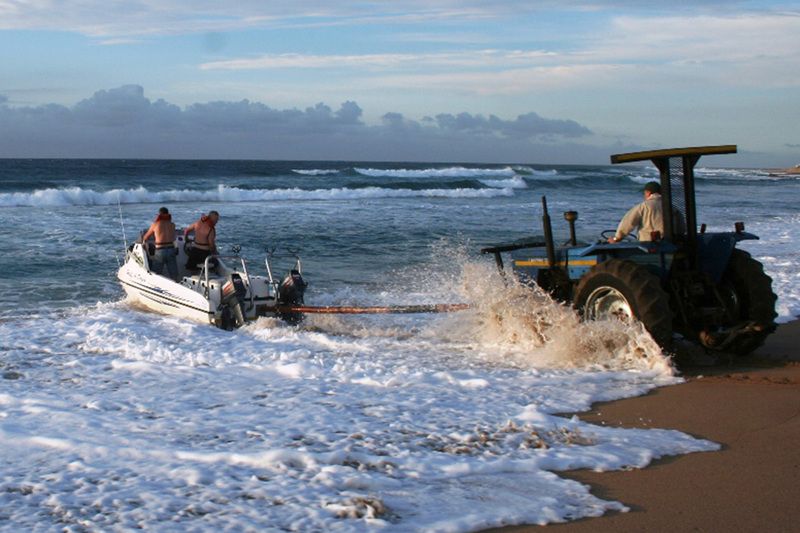 Much of the work of the institute is focused on the coast of KwaZulu-Natal. It is also a leader in marine research in the Western Indian Ocean region, and has worked on projects in all of the countries and island states along Africa’s east coast. ORI covers a number of areas of expertise and offers a range of marine science services: scientific investigation, management advice, training and capacity building, and consulting. Specifically designed training courses for management and conservation agencies. Sampling equipment for a variety of habitats and resources. This portfolio is diverse, but broadly deals with improving knowledge and understanding of demersal resources and their habitats, thereby contributing towards their sustainability and conservation. 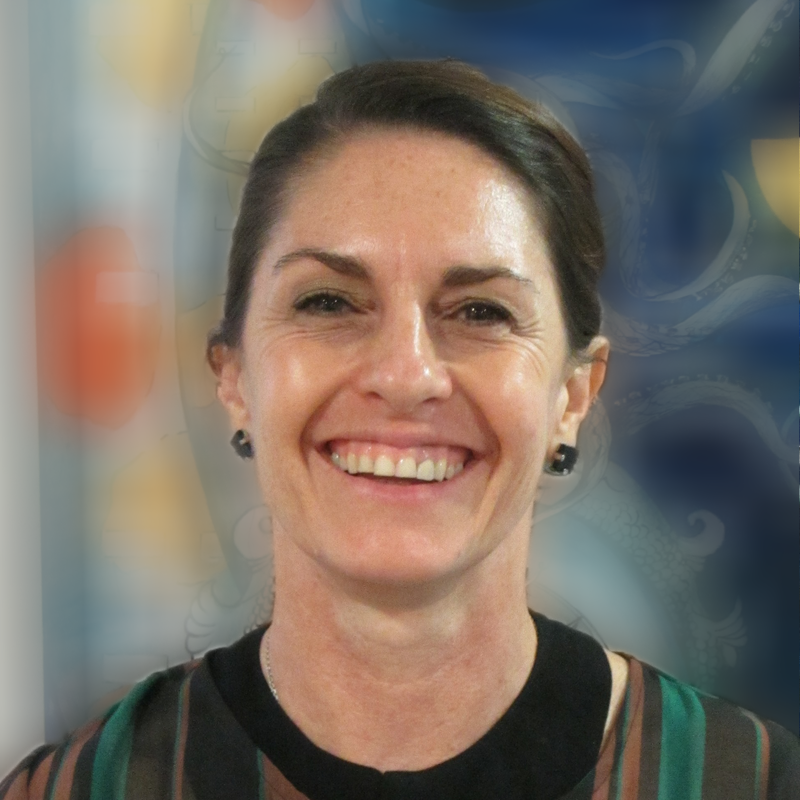 Research topics include: broad characterisation of fisheries; patterns in catch composition of trawl fisheries; impacts and reduction of trawl bycatch; biological characterisation and stock assessments of harvested species; connectedness of species/shared stocks and ecological aspects of soft-sediment demersal habitats. The geographic scope is the east coast of South Africa and the wider Western Indian Ocean. 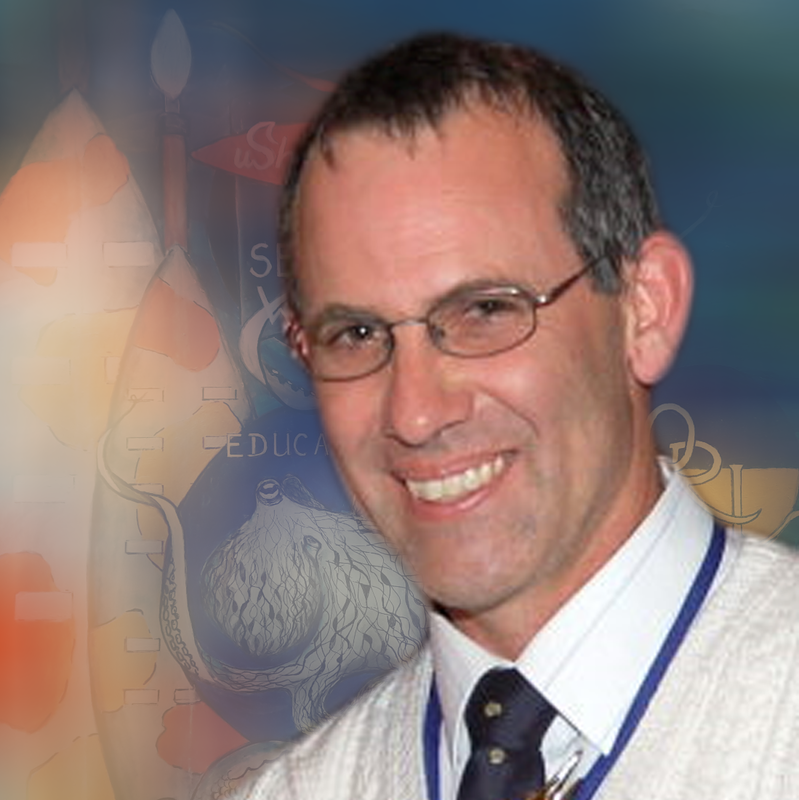 Activities include the identification, execution and/or supervision of projects; preparing and reviewing of project proposals, reports and other documents for local and international funders or agencies; selected consultancies to support decision-makers; and co-ordination and presentation of the University of KwaZulu-Natal post-graduate fisheries science course. The central theme is the study of organisms and environments (habitats, biotopes) in coastal ecosystems (estuarine and coastal shelf) and the interactions between them. The portfolio undertakes core projects and supports other portfolios with cross-cutting subjects such as coastal zone matters and WIO-regional estuaries. Projects are around socio-ecological issues and research questions related to estuarine and marine ecology; specialising in the taxonomy, biology and ecology of estuarine and marine macrobenthic invertebrates as indicators of ecosystem status, transitions and health. Studies are wide-ranging from those undertaken for competitive research grants, environment reporting, biological baseline studies and hypothesis-testing, to specialist consultancies for issue-driven projects. Examples are ecosystem responses to climate extremes, land-to-sea connectivity, biodiversity inventories and assessments, understanding community states relative to environmental drivers and habitats, and organism functional attributes and traits. The group supports post graduate training, internships, and has a core of specialised technical and scientific staff. The reefs of the Western Indian Ocean are highly diverse and play a critical role in biodiversity and ecosystem maintenance. They range from sunlit and colourful coral reefs supporting a wide array of tropical fish to algal and sponge dominated rocky outcrops teeming with cryptic organisms. They are, however, all under threat from a combination of local and global pressures including global warming, ocean acidification, overfishing and pollution. The ORI reef team is studying the ecology and functioning of our reefs in order to try and better protect them and help ensure their survival into the future. This includes: determining how the corals and fish on our local reefs are interconnected using cutting edge molecular and acoustic techniques; monitoring the ecological and biophysical composition of the reefs; looking at the effects of global warming, ocean acidification and pollution on our local reefs as well as determining the socio-economic impact of reef related tourism and use on local communities. This portfolio focuses on the provision of objective science to guide the wise and sustainable management of linefish species caught along the South African coast. This is one of the longest running research programmes at ORI and stretches back to the early 1960s when work was first started on investigating the biology of the seventy-four Polysteganus undulosus. 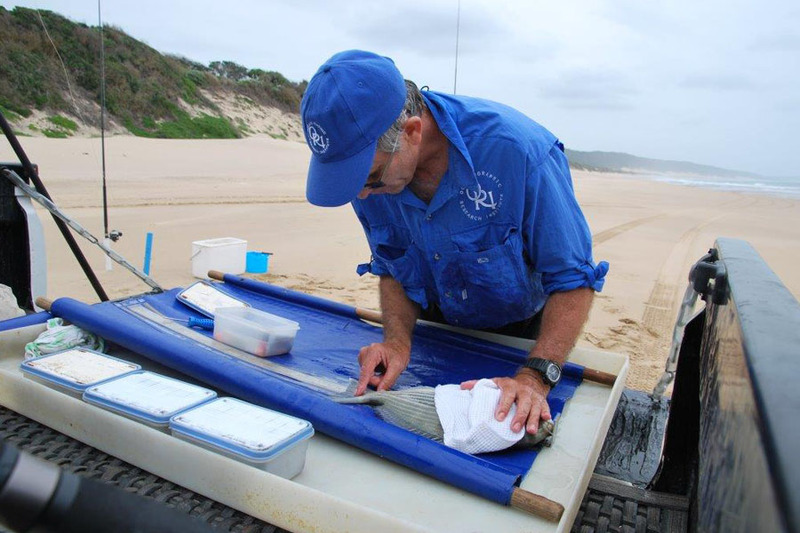 The portfolio consists of a number of long-term monitoring projects such as the ORI Cooperative Fish Tagging Project; the National Marine Linefish System – KZN Recreational Fishery and the KZN Boat Launch Site Monitoring System. 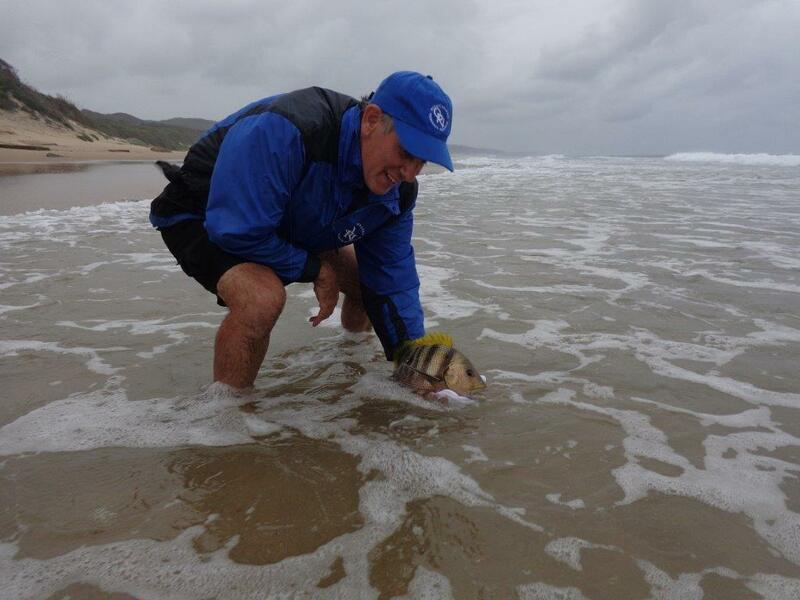 Other long-term monitoring projects focus on investigating the effectiveness of marine protected areas (MPAs) in protecting linefish species both in the iSimangaliso Wetland Park and the Pondoland MPA. In addition to these, projects on the biology and stock assessment of key species are conducted intermittently. The coastal environment is a unique and valuable natural asset; offering a wide range of goods and services. As such it is a zone that experiences significant pressure for development, resource use and economic growth. It is therefore important to identify, understand and monitor the impact of human activities in the coastal environment, so as to ensure sustainable use of the coastal space and the resources it offers. 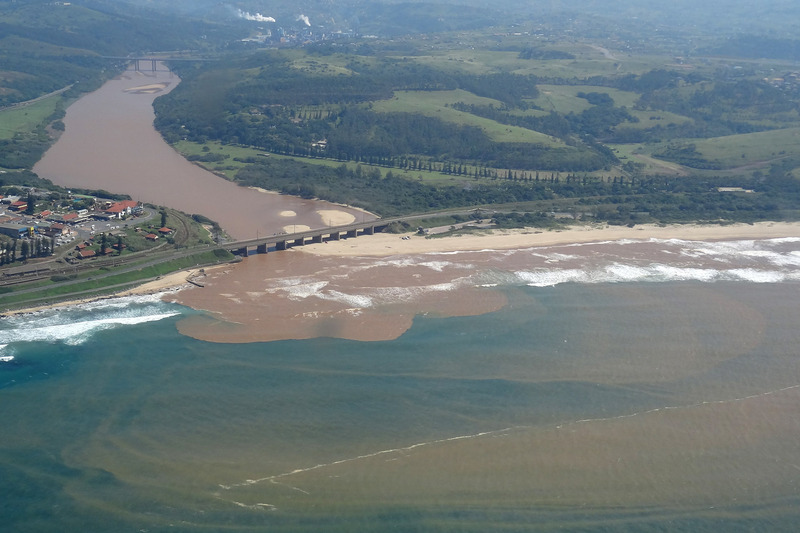 The ORI coastal zone portfolio focuses on obtaining and interpreting strategic information about the KZN coastal zone to assist in coastal management related issues. This includes fundamental and applied research relating to coastal and marine resources, the interpretation of scientific data, and the development of a knowledge-base that serves all levels of coastal management. ORI is located on the shores of the Western Indian Ocean, a global hotspot of marine biodiversity bordered by developing countries, where fisheries provide both employment opportunities and food security to coastal populations. The regional programme undertakes collaborative research with a network of partners in Mozambique, Tanzania, Kenya, Madagascar and small islands states, to assess human impacts on fish stocks and the surrounding environment. Both classical fisheries research and socio-ecological approaches are used, respectively on industrial fisheries and nearshore small-scale fisheries. The applied value of project outputs is a major consideration in their development. The regional programme supports a substantial multinational cadre of postgraduate students across the Western Indian Ocean, in several disciplines. Funding for regional projects is generally sourced through grants. 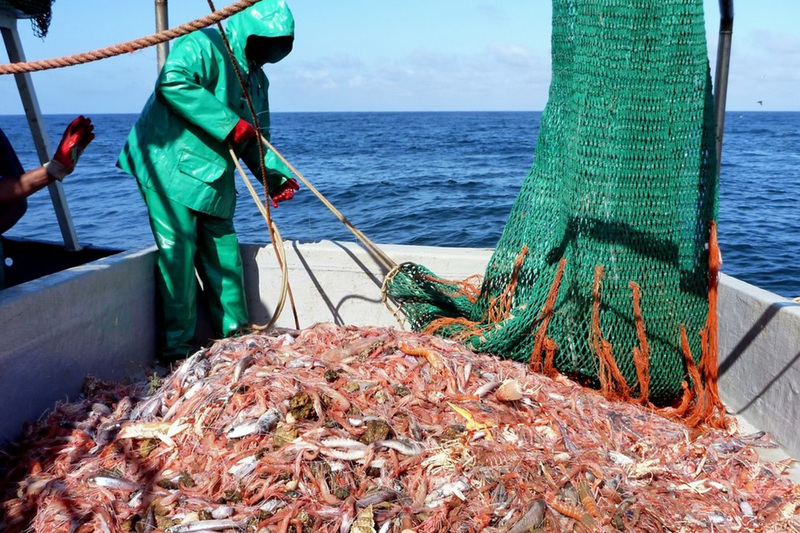 Fisheries certification to Marine Stewardship Council standards is undertaken as consulting work. The regional programme provides a framework for a broad range of applied research, capacity development initiatives and consulting. 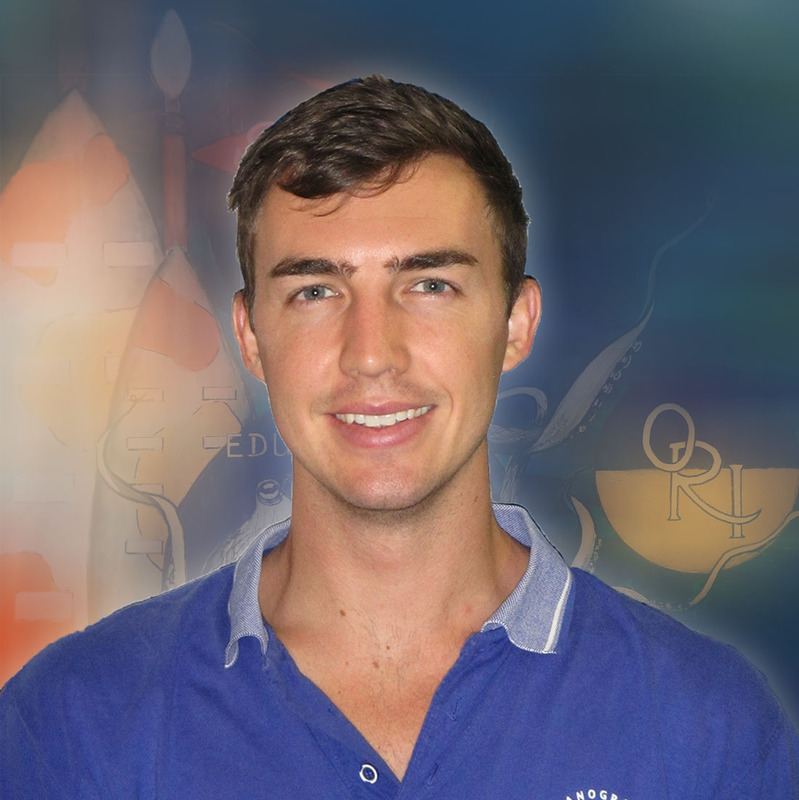 Justin Hart PhD *Professor Michael Schleyer The fertilisation and recruitment dynamics of scleractinian corals on South Africa’s high-latitude reefs. 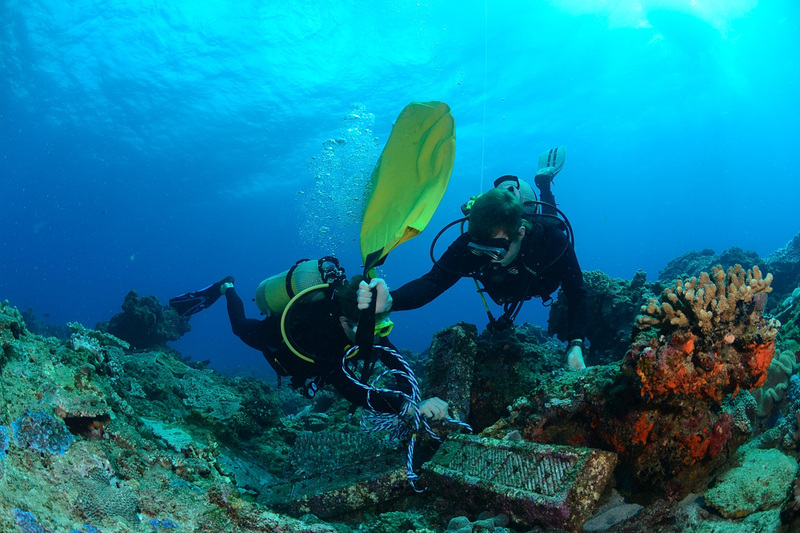 Stuart Laing PhD *Professor Michael Schleyer Investigating the economic value of recreational SCUBA diving on the coral reefs of southern Mozambique and South Africa. 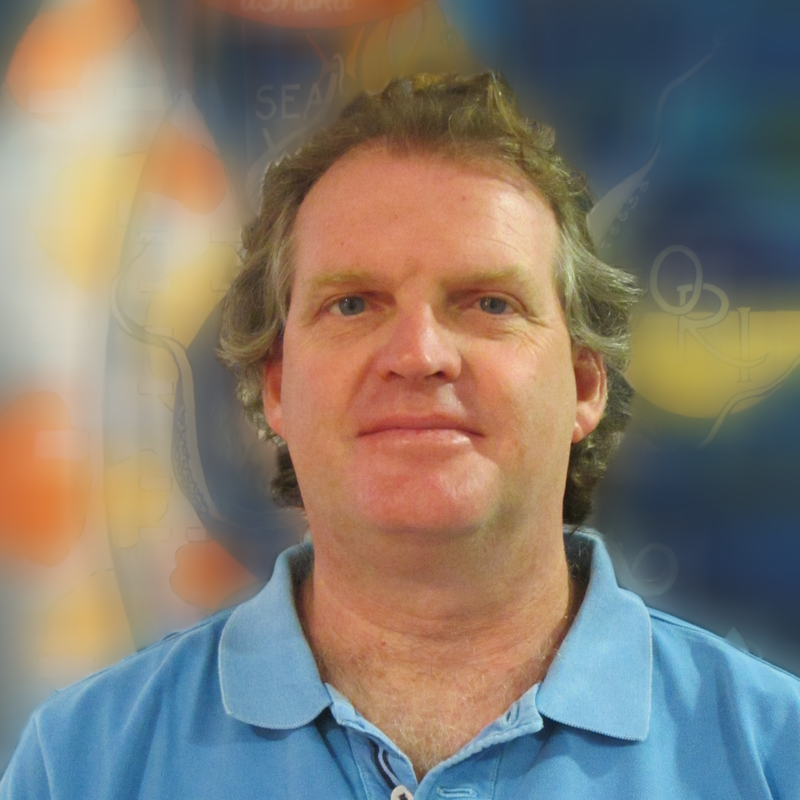 *Professor Johan Groeneveld Using DNA metabarcoding and zooplankton to assess connectivity between marine protected areas in South Africa. 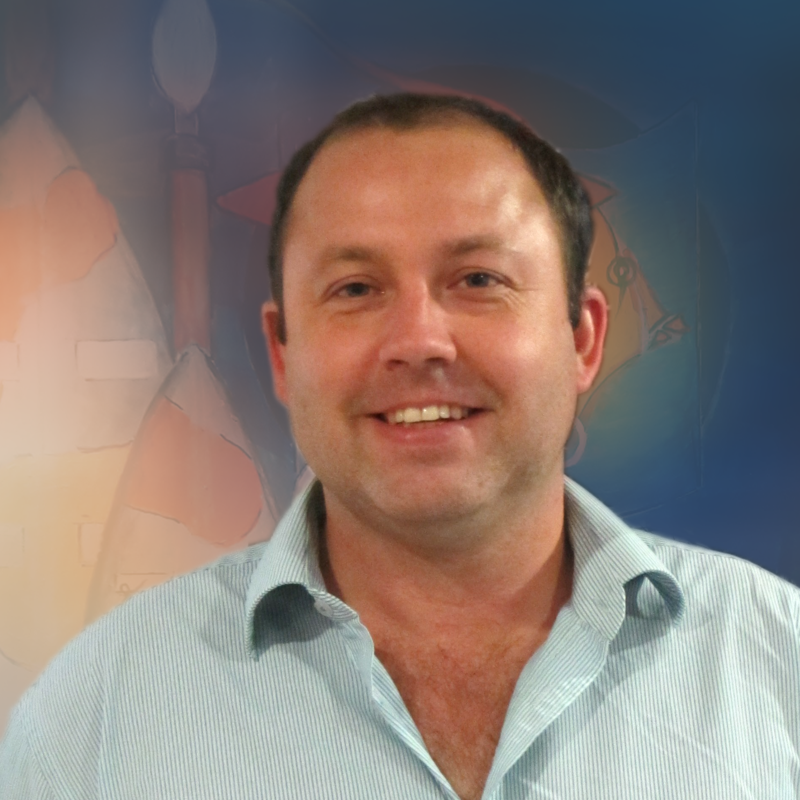 *Dr. Sean Fennessy Genetic connectivity of the slinger Chrysoblephus puniceus in South African east coast Marine Protected Areas. 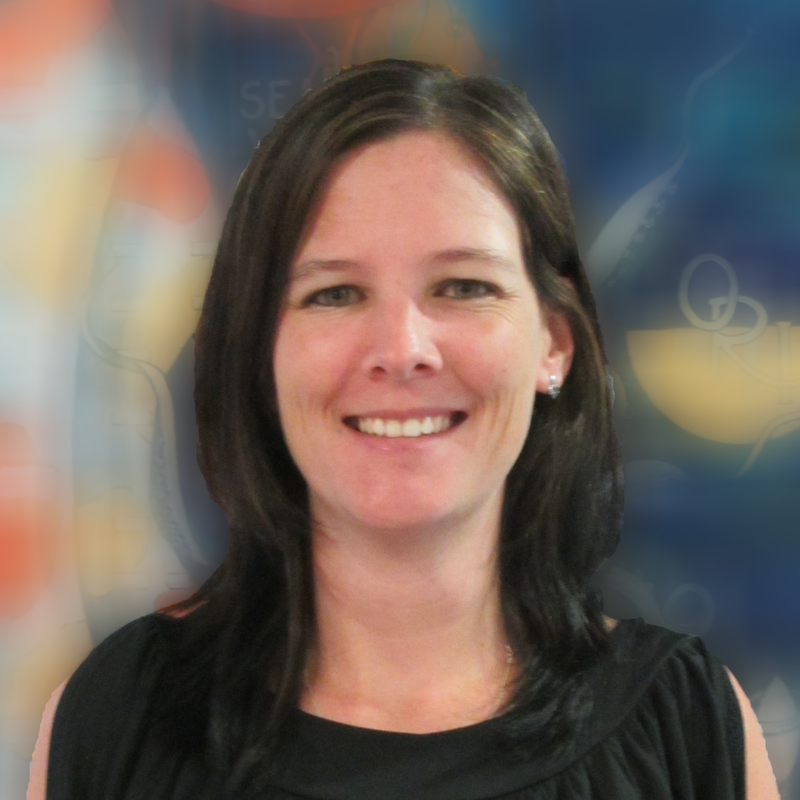 Stacey Badenhorst MSc *Fiona MacKay Macrobenthic diversity across soft-sediment habitats of the Thukela Shelf. Sikhumbuzo Maduna MSc *Fiona MacKay Macrobenthos used to validate multi-criteria derived marine biodiversity spatial zones in KZN. 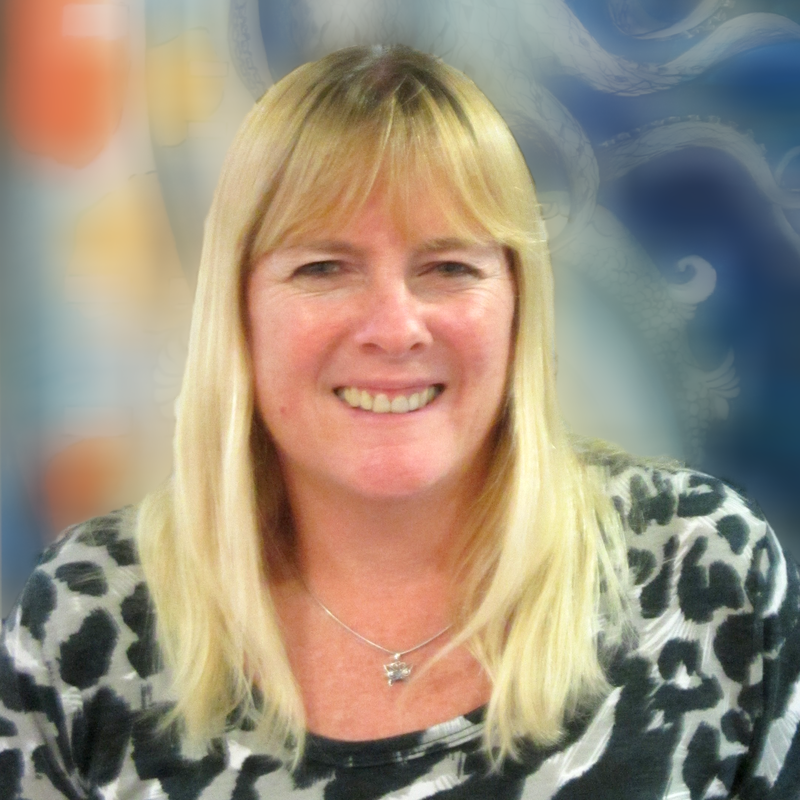 Dr Teresa Gridley An assessment of behaviour, stress and gastric ulceration in bottlenose dolphins Tursiops sp. at uShaka Sea World. Dr. Brent Newman The development of suitable biotic indices using benthic macrofauna, environmental parameters and contaminants for seven ports of South Africa. The relationship between substrate characteristics and fish communities on South African coral reefs. 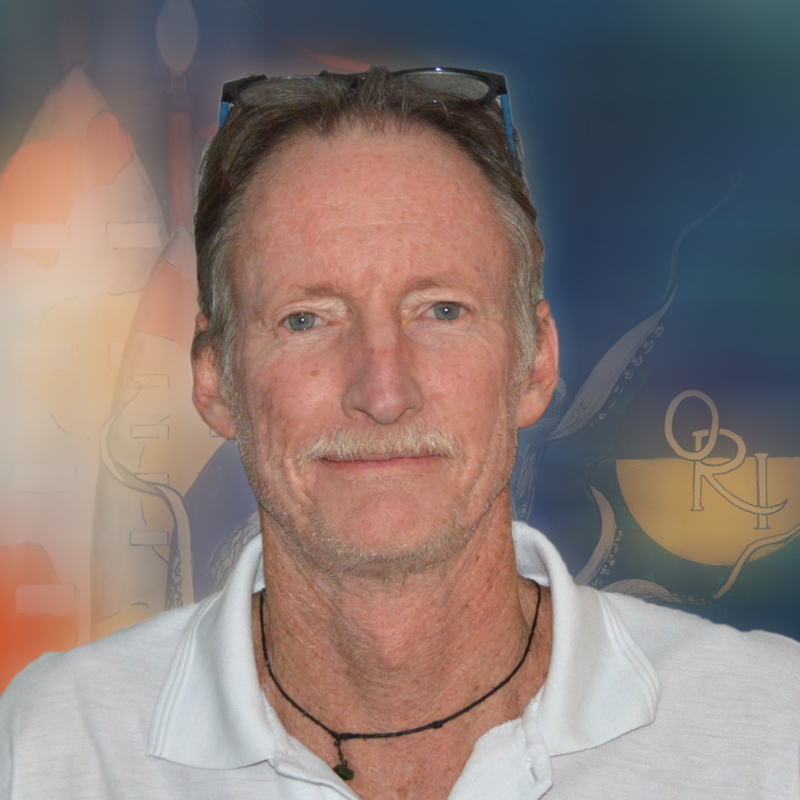 Dr Angus Macdonald Baited Remote Underwater Video (BRUV) assessment of demersal fish communities along the continental shelf of KwaZulu-Natal; providing support to marine spatial planning. 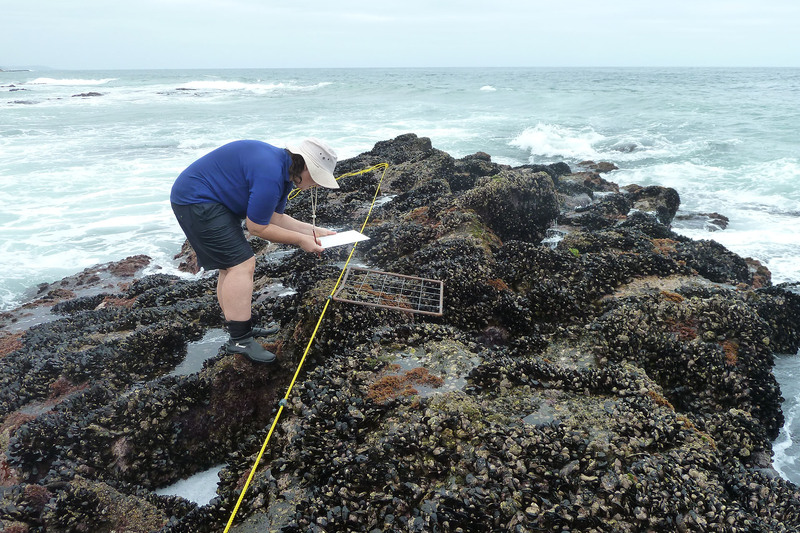 Bianca McKelvey MSc *Fiona MacKay Assessment of the land use/land cover (LU/LC) and environment changes in select KZN estuaries – implications for benthic habitat functioning. Dr Kerry Sink The role of habitat complexity in promoting functionally diverse and species rich marine infauna. 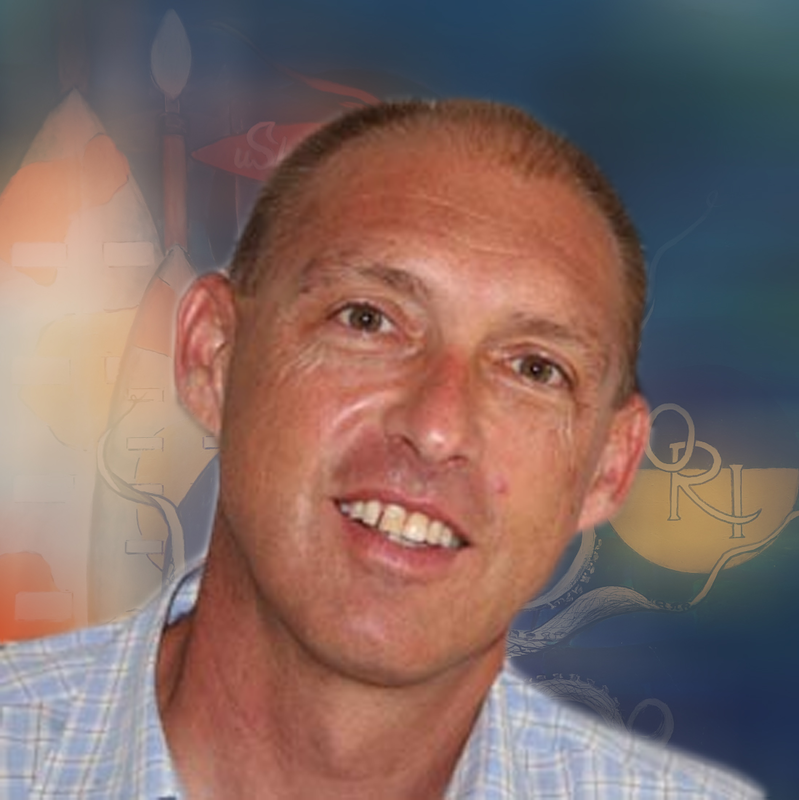 *Professor Michael Schleyer Physiological responses of South African coral communities to global warming. 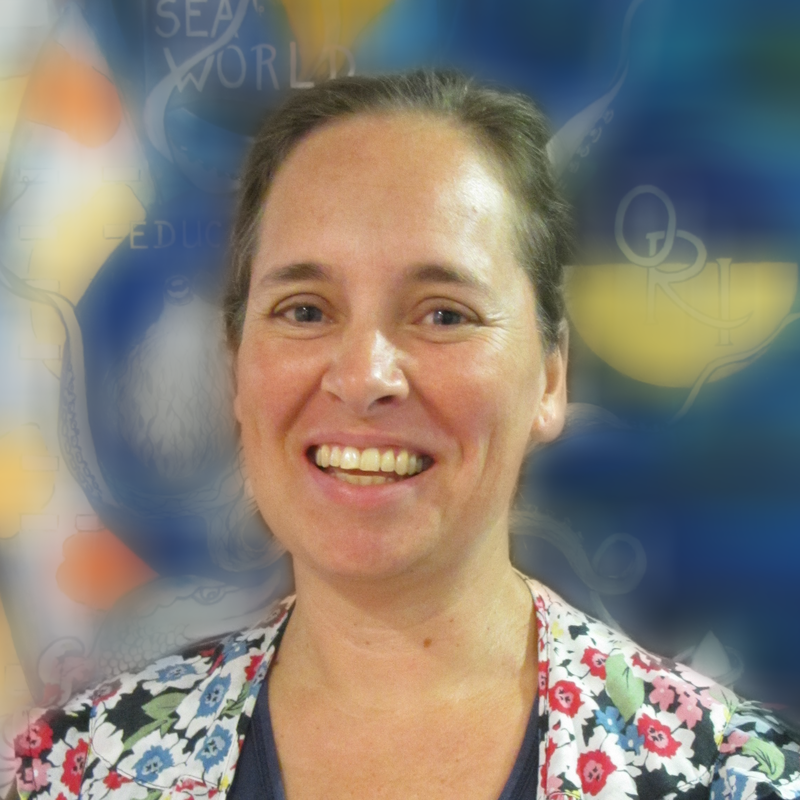 Jessica Gilmore MSc *Dr David Pearton Population connectivity of corals between KZN marine protected areas (MPAs). 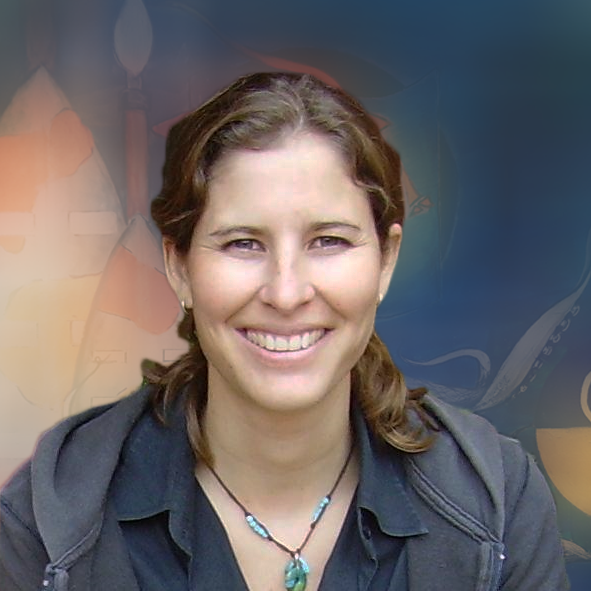 *Dr. Camilla Floros An assessment of ecosystem condition of high-latitude coral reefs in the iSimangaliso Wetland Park and southern Mozambique. 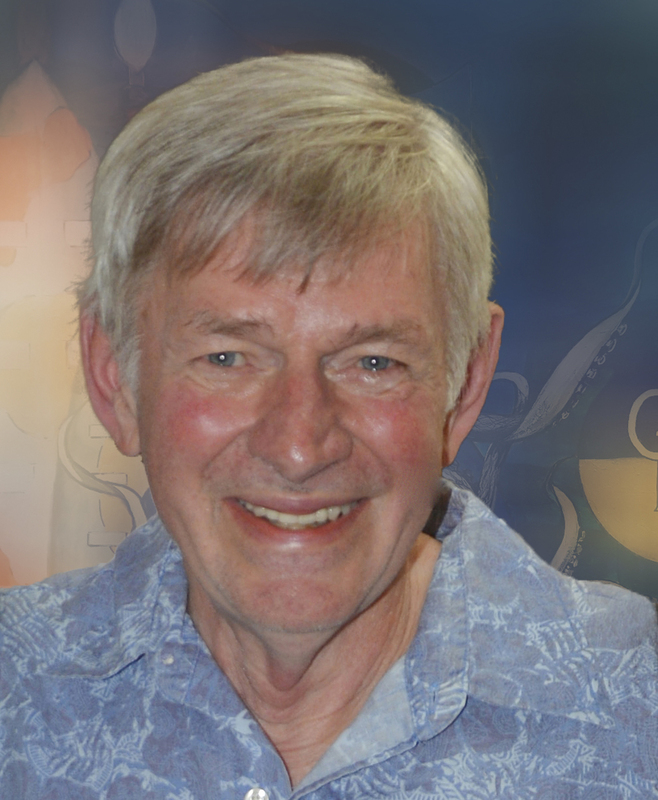 The ORI-Cooperative Fish Tagging Project (ORI-CFTP) was the brain-child of past ORI Director Rudy van der Elst. 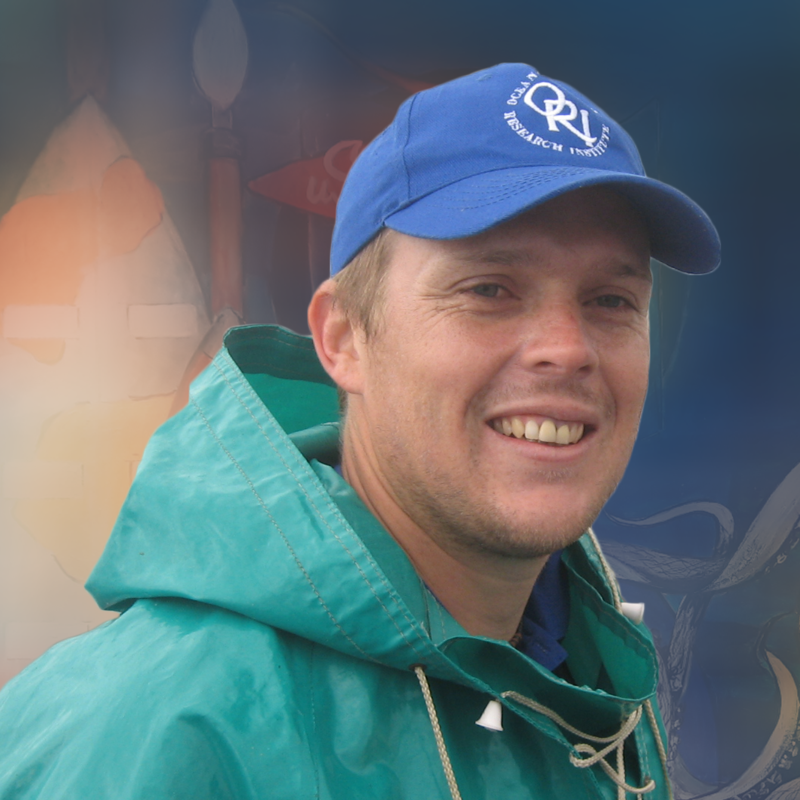 Rudy realised the potential for a well-managed cooperative fish tagging project to generate much-needed data on linefish and, being spurred on by a growing concern amongst anglers of declining fish catches, the ORI-CFTP was launched in 1984. This project is still going strong to this day and is undoubtedly one of the most enduring and successful environmental citizen scientist projects of its kind in South Africa. It involves the cooperation of conservation-conscious anglers (i.e. anglers who voluntarily tag and release their fish) and the marine angling public at large, who report the majority of the recaptures (i.e. a fish that is recaught with a tag in it) to ORI. 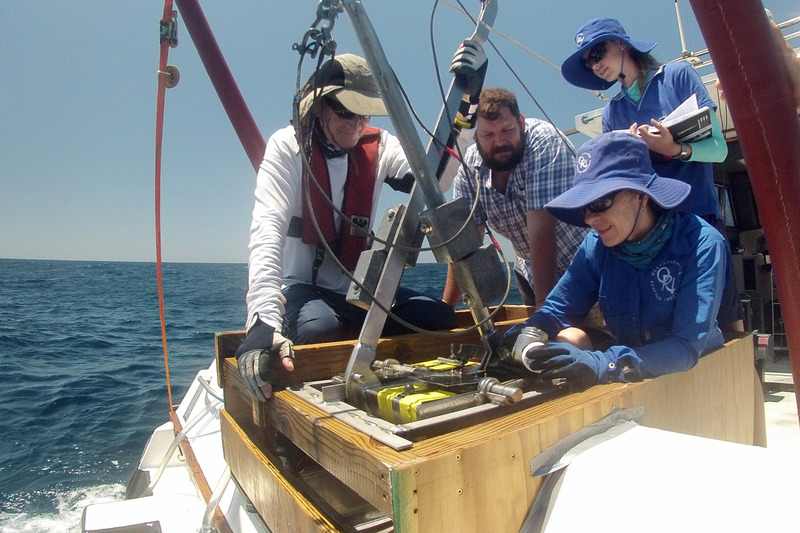 Despite the voluntary nature of this project, the tagging of fish still has great scientific merit, allowing us to learn more about the movement patterns, growth rates, mortality rates and population dynamics of our important linefish species. This information is extremely valuable and is used by scientists and managers around the country for policy- and decision-making on linefishery management. Besides the large quantity of important scientific data collected by this long-term project, the tagging project has also made a major contribution towards changing the ethics of anglers with regard to catch-and-release, which undoubtedly goes far beyond the pure scientific value of the data collected. Not only do anglers now have a reason to capture and release a fish, they are in actual fact contributing to a better understanding of the biology and ultimately the conservation of that species. This added bonus goes a long way in improving angler awareness about our marine linefish species, as well as contributing towards sustainable fishing. There are many different types of tags used on different fish species (e.g. satellite tags, acoustic tags, archival tags, etc.). The ORI-CFTP use external dart tags, which consist of a monofilament vinyl streamer attached to a plastic barb, much like a miniature version of a spear from a speargun (photo attached). Each tag is inscribed with a unique alpha-numeric code (e.g. D123456) and contact details (i.e. email address, cell phone number and postal address). Tags are generally inserted with a sharp, hollow, stainless steel applicator, into the dorsal musculature of a fish or shark, although this may differ in certain fish species (e.g. rays). 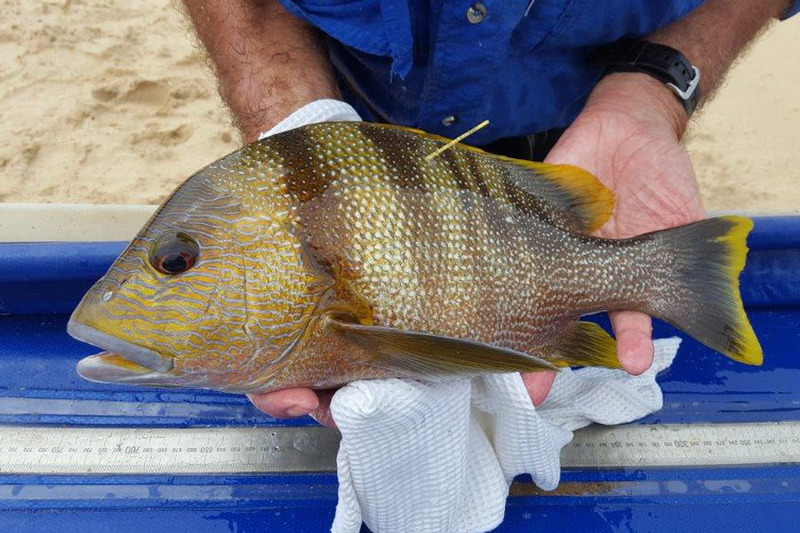 Upon initial tagging (and subsequent recapture of a tagged fish) anglers record the following information: fish species, length (fork or total), tag number, exact locality and date. The use of external tags by the ORI-CFTP is particularly favourable as it is relatively cheap compared to other tagging methods, relatively little training is required to insert tags, no software is required to download information from each tag, and the tagging equipment is very basic. This allows a relatively large number of fish to be tagged fairly economically and allows citizens who are not trained scientists to be involved, similar in some respects to the South African Bird Ringing Unit. However, considerable attention has been focused on ensuring that the best available tag and tagging equipment is used and that our taggers are shown how to handle and tag fish correctly, in order to minimize post-release mortality. ORI also houses the David Davies Memorial Library – one of the most comprehensive marine science libraries in Africa and an invaluable dynamic resource that is constantly being added to. Current holdings are in the region of 30 000 items – marine journals, books, charts, images and a plethora of scientific reports and reprints The library and documentation centre is a unique asset to the province of KwaZulu-Natal. The library provides essential services not only to ORI scientists, but also to many external users, especially researchers and students from the University of KwaZulu-Natal. In addition, the library is available to a larger audience which includes a wider group of users such as tertiary students, scholars, teachers, consultants, guides and external institutions such as Ezemvelo KwaZulu-Natal Wildlife and other statutory organisations. The library is also used by the general public including fishermen, aquarists, the media and artists. The library is staffed by a qualified librarian personnel who provides relevant and current information to the scientific staff and the public. The librarian works closely with library personnel from other local marine institutes to share ideas and best practices.